Eastern Mennonite University (EMU) alumna Leymah Gbowee is one of three women jointly awarded the 2011 Nobel Peace Prize, the Norwegian Nobel Committee announced Oct. 7. She shares the prize with Liberian President Ellen Johnson Sirleaf and women’s rights activist Tawakkul Karman of Yemen. Gbowee, who earned a master’s degree in conflict transformation at EMU, received the Nobel Prize for her work in organizing a peace movement to end the Second Liberian Civil War. She has become famous in her country and across the globe for mobilizing women. 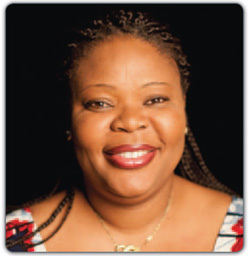 2011 Nobel Peace Prize Winner Leymah Gbowee is an alum of EMU's graduate program in conflict transformation. Only 12 other women have won the peace prize in its 110-year history. 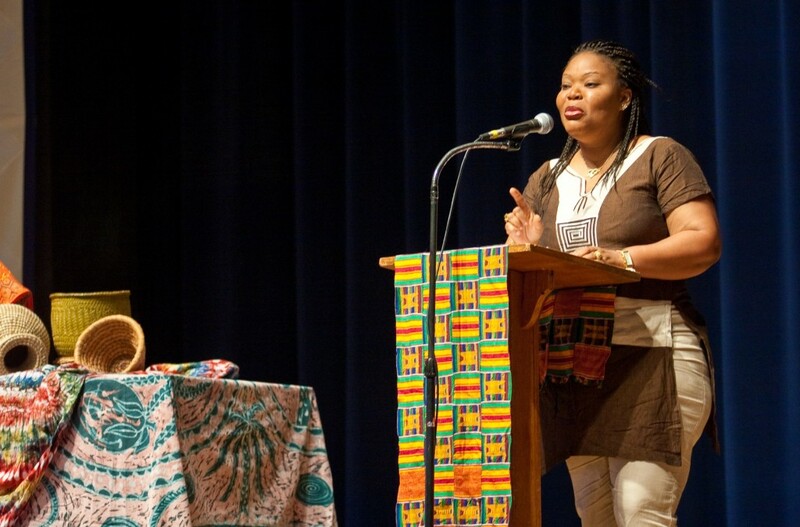 Gbowee graduated from EMU’s Center for Justice and Peacebuilding (CJP) in 2007 with a master of arts degree. She attended CJP’s Summer Peacebuilding Institute in 2004 and completed its Strategies for Trauma Awareness and Resilience (STAR) program in 2005. Gbowee is scheduled to be on EMU campus Oct. 14-16 to receive the university’s annual Alumna of the Year award as part of Homecoming and Family Weekend celebrations. Gbowee is executive director of the Women, Peace and Security Network Africa, an organization she co-founded to build relationships across the West African sub-region. Headquartered in Ghana, the organization supports women’s capacity to prevent, avert and end conflict across the region. She has won numerous awards, including the Blue Ribbon for Peace by Harvard’s Kennedy School of Government and the John F. Kennedy Profile in Courage Award. She typically accepts such honors on behalf of her countrywomen. Gbowee is the central figure in a documentary produced by Abigail Disney, “Pray the Devil Back to Hell,” which will be shown at EMU Friday, Oct. 14 at 8 p.m. in Lehman Auditorium. Completed in 2008, the documentary is part of a series that debuts on PBS stations nationwide at 8 p.m., Tuesday, Oct. 18, 2011. EMU is a diverse Christian liberal arts college based in Harrisonburg, Va., and guided by core values of the Anabaptist-Mennonite tradition. Approximately 1600 students are enrolled in undergraduate, graduate, seminary and Center for Justice and Peacebuilding programs at EMU. Sustainability and cross-cultural study are emphasized across the curriculum. Congratulations to EMU and CJP on the award to Leymah! What a wonderful connection and relationship to celebrate. All the best to you in your work. We especially appreciate the assistance Jan provided in 2009 to get Leymah to speak at the Nobel Peace Prize Forum on the Augsburg College campus in Minneapolis. Pray the Devil Back to Hell is a powerful movie and story. Thank Leymah for your work on behalf of women. Congratulations on the Nobel Peace Prize. Congratulations! I am so pleased that one of your alumni has won the Nobel Peace Prize. I have admired your work since I did a story on your Peace Institute for the Mountain Courier. The world so needs you and your hard-working alumni. Thank you, Leymah, for your solid, life changing, inspiration because of your commitment to peace action. Congratulation Leymah and the entire family of EMU. You deserve it. Having been there I can testify the values of EMU. Long live winer Long live EMU. Whoah! Hearty Congrats – Leyman – for your hard noble work, achievement and inspiration to all EMU alumni, educators, administration staff and beyond. I am very proud of you and our common Alma Mater, EMU. Pingback: Inheriting the Trade | Nobel Peace Prize 2011 — congratulations to peacemakers!